-10-75C 10K NTC 4-20mA THERMISTOR - Robert Owen Inc. 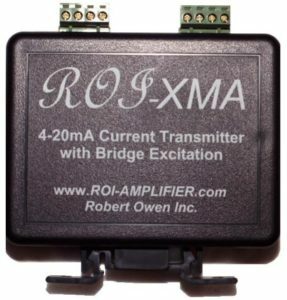 The ROI-XMA series is a versatile family of loop powered 4-20mA thermistor temperature transmitters. Versions can be provided for thermistor Base Resistance (Ro), between 1K and 100Kohm impedance (@ 25 Deg C). Signal range can be custom scaled to alternate thermistor temperature spans within sensor range. Transmitter supply voltage may be from 7.5 to 36Vdc. Output circuit is reverse connection protected and filtered. Use spare PLC 4-20mA inputs for temperature sensor measurement, with the ROI-XMA thermistor transmitter. ROI-XMA thermistor transmitters allow the simple measurement of industry standard thermistors. Existing 10K ohm NTC thermistors can be connected to modern control systems. The thermistor is a simple way to add temperature sensor measurement to a PLC. The thermistor is ideally suited for limited temperature ranges can be used to achieve higher precision than other temperature sensors. Useful in HVAC systems, refrigeration systems, chillers, environmental monitoring, computer room monitoring, dryer, and other limited temperature range applications.